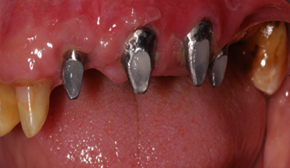 In the back of the mouth where bite forces are extremely strong, one implant per tooth is the ideal. 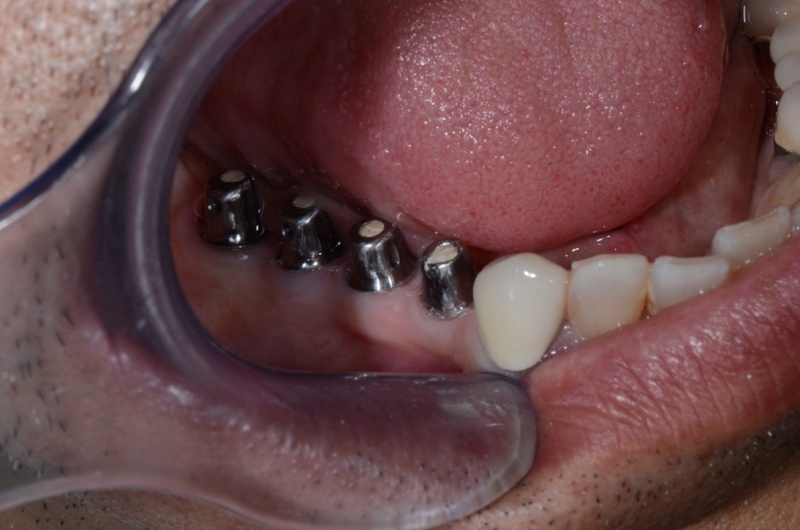 Although not always required, alternatively, if multiple teeth are missing within the same region, several missing teeth can also be replaced with fewer implants because dental implants are stronger than the natural tooth roots. 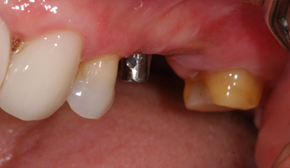 This solution includes having implant fixed bridges done. 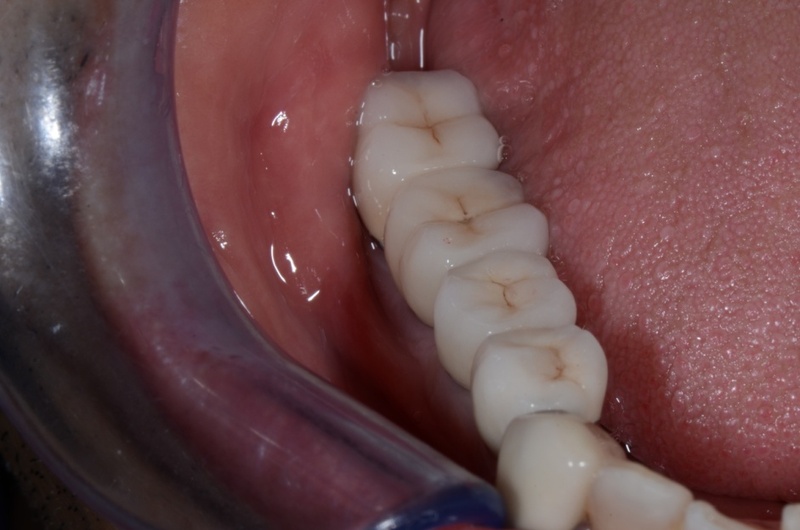 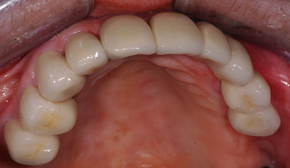 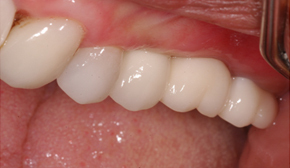 A combination of Implant- Supported Bridge and crowns on natural teeth. 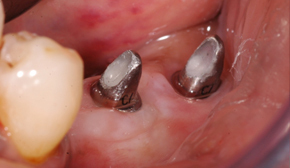 One implant per tooth placed with highest precision. 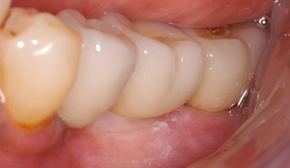 Individual ceramic crowns cemented permanently to restore optimal masticatory efficiency of the patient.